Ketchum said the series will explore the original idea of “X-Men being something ‘extra,'” and that the characters “will be doing new cool things with their powers” and being configured into new relationships. Speaking on design, Ketchum said that artist Clay Mann considered directions characters might have taken, with Storm becoming even more of an aggressive, powerful African goddess. It’s that last line that really grabbed my attention. The first image released about this project did not feature Storm at all, so it is interesting to see her so front and center in the above image by Leinel Francis Yu. It is nice to see that this alternate world (?) continues the tradition of a sparsely dressed Storm, even if her tiara looks like it would be more at home in a Conan comic. I like her proximity to Gambit and hope that this story features an interesting twist on their friendship. Mike Carey’s X-Men: Legacy has been a great read thus far and I look forward to this project. Artist on the rise Nick Bradshaw drew this pinup for X-Men: Second Coming #1 featuring Namor, Magneto, Storm, Nightcrawler, Emma Frost, Colossus, Magik, Pixie and Cypher. Look at that immense tiara on Storm! He has also drawn the cover for X-Men: To Serve and Protect #1 and seems to have a healthy Art Adams influence in his work..
Have you ever checked out Covered, a blog about artists reinterpreting comic covers? It is a really fun blog and has some amazing renditions of some classic (and not so classic) comics. The artwork above is by Thomas Perkins and reinterprets X-Men #29 (the debut of the Mimic). It’s both odd and humorous see Storm with Marvel Girl’s old mask. This breathtaking artwork of Storm as Wonder Woman (from an Amalgam trading card) was drawn by Stuart Immonen. The one-shot comic one Amazon told the story of how Ororo became the champion of Paradise Island (instead of Diana) and combined aspects of the Marvel and DC Universe comic book worlds. It was written and drawn by John Byrne and inked by Terry Austin. I love the enormous mane of hair that Immonen gave Storm in this image. Skottie Young is one of those artists whose style is instantly recognizable. His X-Babies covers were quite a hit and he wows every month on Ozma of Oz. His version of baby Storm is delightful. Just as charming is this imagining of the 90s X-Men as tiny creatures enjoying themselves a Happy Meal of which they are the subjects of the included toys. This scenario depicts many moments of cuteness by graphic artist Emiko Iwasaki. I love her rendition of big-eyed, big-haired Storm as she attempts to lift a Forge toy. Iceman lounging in the top of the soda cup on a bed of ice is also a nice touch. This kinetic scribble of the X-Men is by Art Baltazar. I love this image, but Ororo’s tiara is incorrect. Of course, she’s been drawn so many ways by this time, that I suppose there is room for different iterations, but as for classic tiara, this one misses the mark. Everything else about this drawing is perfect. You are reading Tiny Titans, right? And finally, we have the variant cover to X-Men #7 by Terry Dodson, featuring one of the most garish Spider-Man costumes I have ever seen and that’s saying something. 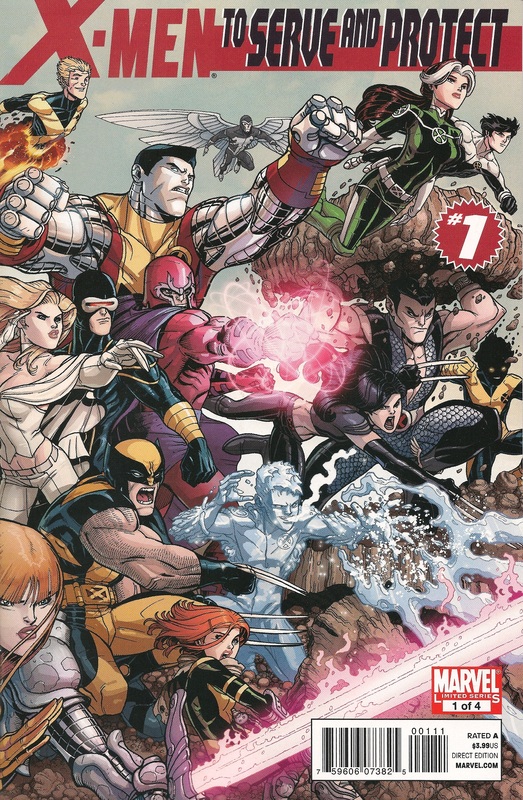 I wish this cover simply featured Storm, Emma, Cyclops and Wolverine, but I will take my Dodson art where I can take it. I simply love his art and this cover (in spite of the orange bedecked super-arachnid) is gorgeous. I actually like the Spidey costume. It’s very Tron, and Peter strikes me as the type who’d mess around with his costume if he saw a visually arresting element he liked. He can always look back on it after he goes back to his (oh-so-much-more-subtle) red-and-blue look and shudder in “What Was I Thinking?” revulsion. The X-Babies are adorable. I wanna take the Hank from the Happy Meal picture home with me. Poor li’l Scotty, though…he’s gonna have a bellyache like nothing else in the morning. Amazon-Storm looks INCREDIBLE. Why can’t the artists who draw her current costume make it look that classy? Seriously, more often than not the thing she wears now looks like it’s going to fall off any second. I remember being SO excited with the Wonderwoman/storm amalgamation! Happy times! Also the art by Art Baltazar Is too awesome!! !